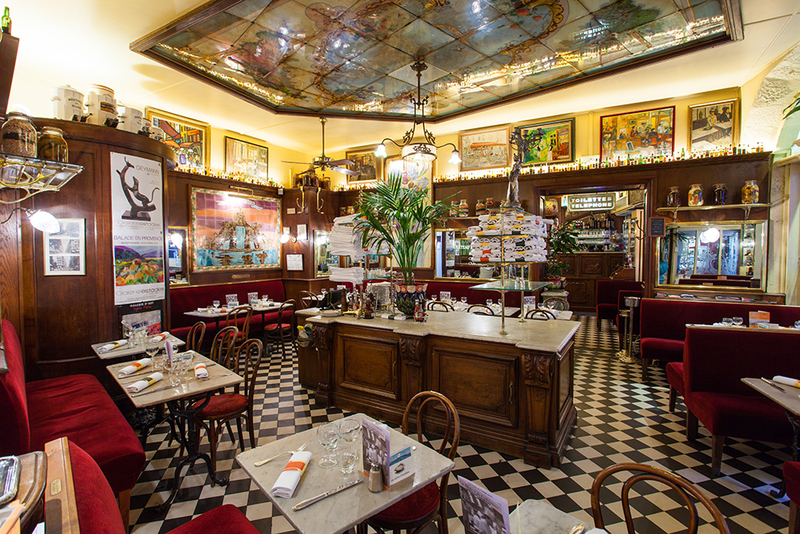 With its elegantly cluttered interior spaces, the main dining room and its marble tables, and charmingly mismatched café seats, the Bistrot de Lyon looks like it has witnessed a long and rich past, from the feathers of the roaring 20s, to the cloche hats and aigrettes of the 30s. The menu is as ample as Le Bistrot de Lyon’s history is long. 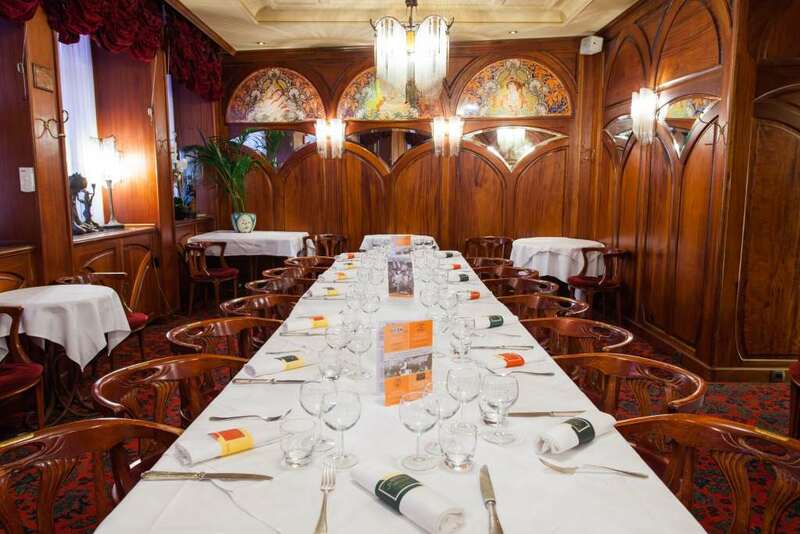 Local Lyon-style cuisine and more “progressive” dishes are served in a comfortable setting that brings to mind the great brasseries of the 1900s. 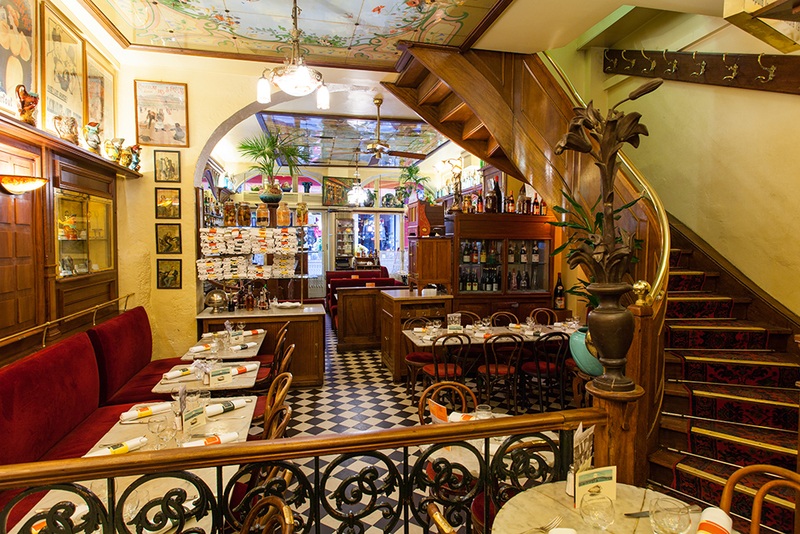 The décor of this authentic 1900s-style bistrot takes diners back in time to the Belle Époque. 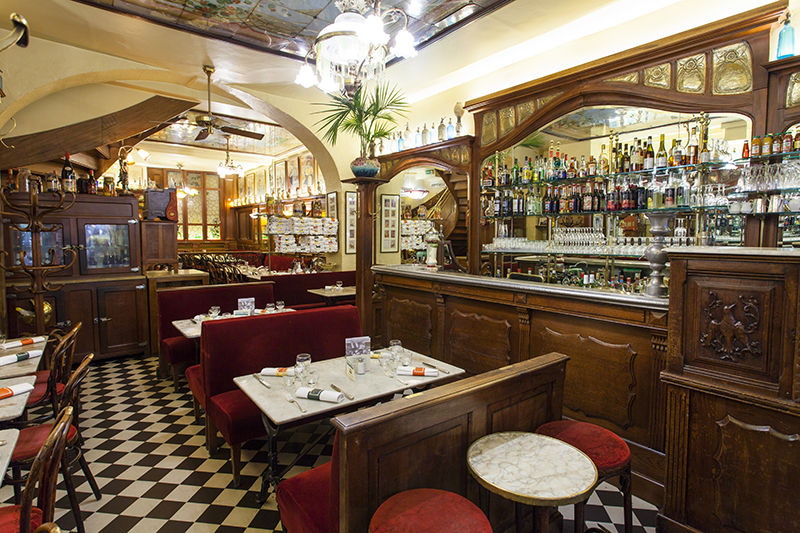 An iconic establishment on Rue Mercière, with bistrot-style cuisine and classic local dishes served by a friendly and dynamic team. This eatery has an undeniable charm, with its old-fashioned and unique interior, featuring welcoming old café chairs dressed in red velvet and marble tables. The homely atmosphere is much appreciated by Le Bistrot’s celebrity customers. 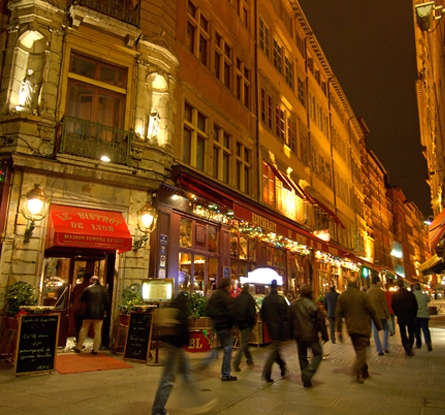 Some will always spend their evenings at Le Bistrot when they’re in Lyon. Among these “regulars” are a number of down-to-earth and unpretentious theatre figures. André Dussolier, Catherine Jacob, Laurent Gerra, Pierre Arditi and Olivier Lejeune regularly frequent the establishment. 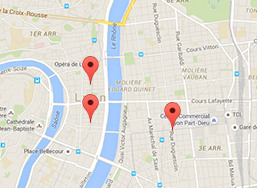 What attracts them to Le Bistrot? Its discreet, understated personality. They sometimes perform at the theatre for up to 10 days at a time and appreciate coming to a familiar place, which opens until late. This is all part of Le Bistrot’s spirit: lively evenings in a snug little watering hole where artists can gather, relax, have fun and enjoy authentic local cuisine. The friendly mood here is contagious. 1 Ground floor | Room 1 | 47 diners. 2 Ground floor | Room 2 | 31 diners. 3 Ground floor | Room 3 | 72 diners. 4 First floor | Lounge | 12 to 42 diners.